Two big tech conferences kicked off this week: Apple’s World-Wide Developers Conference and E3, the Electronic Entertainment Expo. We shared the highlights on this morning’s “Geek Beat” segment on the Hawaii News Now Sunrise morning news show. Apple’s big keynote covered all four of the company’s software platforms: iOS (for iPhones and iPads), macOS (renamed from OSX, for Macintosh computers), tvOS (for Apple TV) and watchOS (for the Apple Watch). The company announced a ton of new features across the board, and Burt and I shared highlights for iPhone and Apple Watch users. 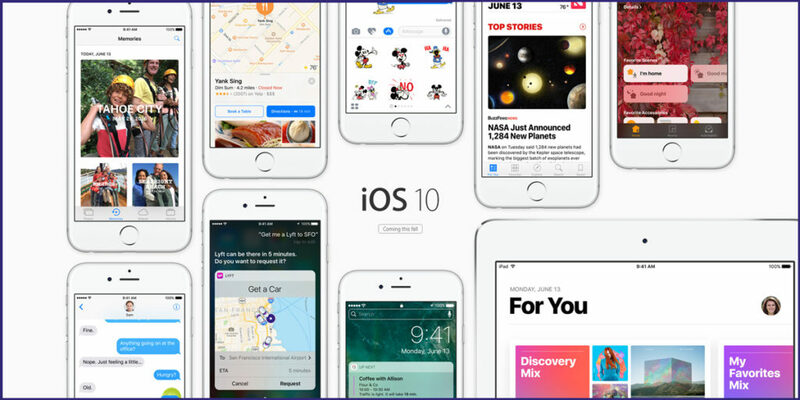 The standout announcements for iOS 10 were the new features coming to Apple’s Messages app, many inspired by popular competing apps like Snapchat, WeChat, and Facebook Messenger: bigger emoji, stickers, animated full-screen celebrations, the ability to draw on images, and “invisible ink,” where recipients need to swipe to reveal the contents of a message. For the Apple Watch, the key was speed — faster app launching to show pre-cached information instantly. But for watchOS 3, Apple also replaced its “glances” with a more conventional dock for quick app switching, added a control panel similar to the one in iOS, expanded fitness options, and added a few new watch faces. On the gaming side, Sony, Microsoft and Nintendo had a lot of news to announce at E3, along with many other indie software and hardware developers. The PlayStation will finally get its own virtual reality headset, the PlayStation VR. A new, slimmer version of the Xbox is coming later this year, the Xbox One S, but the most excitement was sparked by updates on Project Scorpio, a next-generation gaming console that will feature 4K video at 60 frames per second, powered by an eight-core CPU. The conference was jam packed, meanwhile, with demos of upcoming games: Spiderman and Batman, God of War, Gears of War 4, Forza Horizon 3, even a new Legend of Zelda title from Nintendo. Watch this morning’s “Geek Beat” segment on YouTube. My daughter Katie makes an unexpected cameo!